In 2011, a number of people suggested to local Musical Director and Choral enthusiast Carol Gedye that she might like to form a Community Choir. They had seen the success of similar programmes at places such as The Sage Gateshead and thought it would be great to have such a thing in Richmond. The Station, newly restored and with cinema space unused in the mornings, was suggested as a suitable venue. With the support of its Community Fund available back then, a group of likeminded people met to plan the venture, and the wheels were put in motion. Taster sessions were held, surveys were completed, and it was quickly obvious that with over 100 respondents there was not only interest, but a need for more than one choir. Keeping with the railway theme, three choirs were on track from September 2011, Platform 1, Platform 2 and a Thursday group "The Branch line". (This third group was named as such, as it meets in the evening at the Town Hall when the cinema is in use.) The choirs started with approximately 80 members in total. Since summer 2013 the Station Singers have operated as an independent organisation, guided by its own volunteer Management Committee, with many grateful thanks to The Station for its early assisitance. 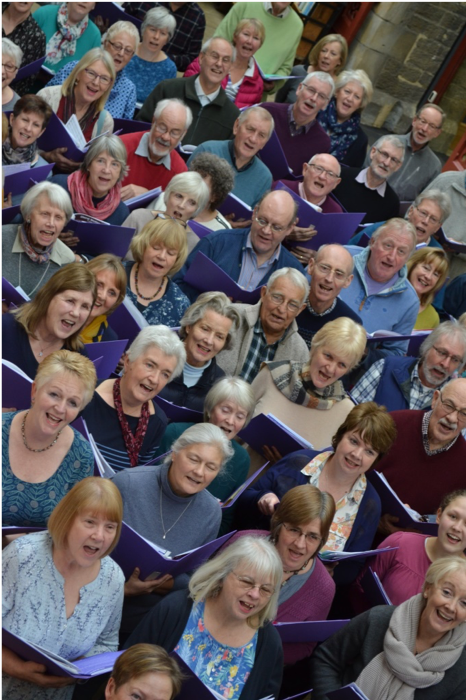 Each year has seen two annual and very popular concerts in which the choirs perform their own sets of music, and join together to perform as a massed choir. Building on our early success, we are delighted that each season seems to bring new members, and we now cater for approximately 160 singers. It's full steam ahead…! The Seasons restaurant in The Station kindly supports the Singers with 10% off all prices in the café. Station Singers members can apply for a Gold Seasonaires Loyalty Card. Forms are available in the Seasons restaurant on production of a Station Singers membership card. You can then use the card for discounted meals and drinks in the restaurants at any time. We invite two charities per concert to help us with the Refreshments and the Front of House activities. Each charity provides a team of 6 helpers. We are really pleased to be able to support both local and national causes, and since our inception in 2011, have raised many 1000s of pounds overall.